Don’t you hate it when you wake up from a night of hard partying, hung over, vaguely smelly, and in control of a massive monster wreaking havoc on the other side of the world? 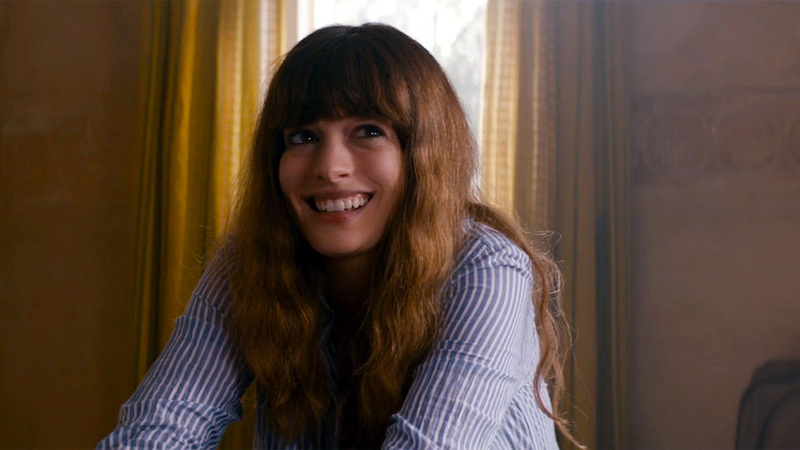 Oh wait, maybe that only happens to Anne Hathaway in Nacho Vigalondo’s Colossal. I’d swear that happened to me once, but it may just be this new trailer. You probably think of certain things when you hear the words “giant monster” and “movie” together. But it’s becoming more and more clear that Colossal is not our average creature feature. Which makes sense. Nacho Vigalondo’s fond of working in genre frameworks, but the Spanish director always puts his own unique stamp on the various formats. Open Windows takes an unusual approach to horror thrillers, Timecrimes is as twisted a time travel tale as you’ll find, and Extraterrestrial views an alien invasion narrative through a romantic comedy lens, or vice versa depending on your stance. It makes sense that this Colossal trailer doesn’t look like what we’re used to. After Gloria (Anne Hathaway) loses her job and her boyfriend (Dan Stevens), she moves from New York back to her small hometown where she spends her time drinking with the local color, including Jason Sudeikis and Tim Blake Nelson. When a giant monster materializes over Seoul, she discovers that it’s intrinsically linked to her emotional state and she can control its movements. Nacho Vigalondo has been talking about making a kaiju movie for years, so I’m super stoked that he finally did—at one point he said he wanted to be the guy in the rubber monster suit knocking over buildings. I’m also beyond psyched that, with all the positive buzz around Colossal coming out of the fall festival circuit (and Sundance last month), it looks like he’s finally getting some well-deserved recognition. NEON, the new company from Alamo Drafthouse’s Tim League and RADiUS’ Tom Quinn, picked up the distribution rights, and Colossal stomps into theaters on April 7. In the meantime, take a gander at this fairly new poster, which again reinforces the notion that Colossal is not your usual giant monster movie.